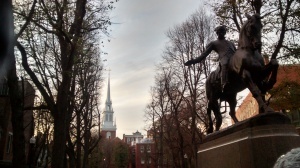 Tours of the Freedom Trail®: Allegiance to Revolution. Paul Revere’s Home. During my trip to Boston for the 2014 National Council for the Social Studies Conference, I was able to take the Boston National Historical Park‘s Tours of the Freedom Trail®: Allegiance to Revolution. The tour focused on the story of Paul Revere and his neighbor Thomas Hutchinson. These two men, one a patriot and one a loyalist, lived on the same street in Boston’s North End neighborhood. The tour started at Faneuil Hall, stopped by the Paul Revere House, and ended at Old North Church. At each stop, our tour guide discussed how the lives of these two neighbors contributed to the build up that led to the American Revolution. Thomas Hutchinson was the great-great-grandson of another important character in America’s colonial history, Anne Hutchinson. He graduated Harvard at age 15 and became a wealthy businessman and politician. Although he disagreed with some of the British Crown’s policies- he would not consider revolting against England. Hutchinson served as Chief Justice of the Supreme Court, Lieutenant Governor of Massachusetts, and Governor of Massachusetts. He was acting Governor during the Boston Massacre and Boston Tea Party. In 1774, Hutchinson sailed to England and died there in 1780. Tours of the Freedom Trail®: Allegiance to Revolution. Paul Revere Monument with Old North Church in background. Paul Revere, Hutchinson’s neighbor, is best known for his “midnight ride” on April 18, 1775. Revere was an entrepreneur and silversmith. Revere participated in the Boston Tea Party and acted as a courier for the Boston Committee of Safety and the Massachusetts Committee of Safety. After the Revolutionary War, Revere opened the first copper-rolling mill in the United States. Unlike the exiled Hutchinson, Revere died at the age of 76 in his home city of Boston. 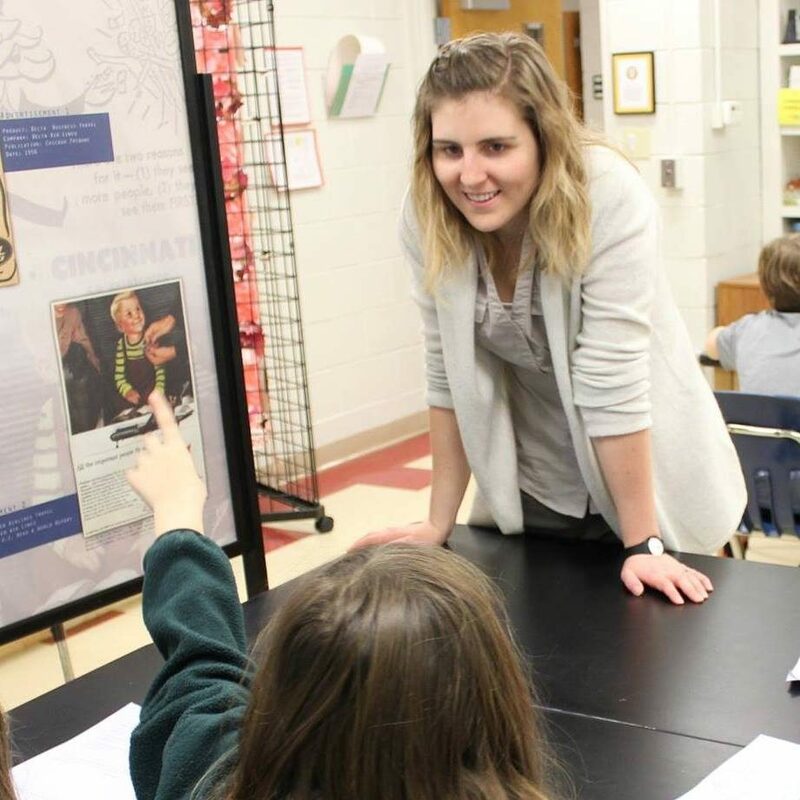 You may never get the chance to take your students on a trip to Boston, but you can use the interesting story of these two neighbors to engage students in learning about the founding of our country. 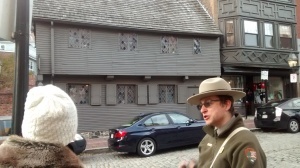 You can watch a video of the Tours of the Freedom Trail®: Allegiance to Revolution on NorthEndBoston.com. In fact the video features the same NPS ranger who led my tour. This Day in History June 3, 1780: Former Massachusetts Governor Thomas Hutchinson dies in England. Letter from Paul Revere to Jeremy Belknap, circa 1798. Massachusetts Historical Society. The Coming of the American Revolution 1764-1776. Massachusetts Historical Society. The Bloody Massacre Perpetrated in King Street, Boston on March 5th 1770 by a Party of the 29th Regiment by Paul Revere. Massachusetts Historical Society. Thomas Hutchinson, The History of the Province of Massachusetts-Bay, Vol. III: From 1749-1774, Comprising a Detailed Narrative of the Origin and Early Stages of the American Revolution. National Humanities Center Resource Toolbox. Becoming American: The British Atlantic Colonies, 1690-1763.